Tyron Woodley is still down to fight at UFC 230, but he has to get his thumb looked at first. Woodley is coming off a dominant welterweight title defense against Darren Till. The two met in the main event of UFC 228. “The Chosen One” earned a second-round submission victory over Till for his fourth title defense. Former interim UFC welterweight champion Colby Covington is likely next in line for a shot at Woodley’s gold. “Chaos” has also expressed interest in headlining the UFC 230 card with Woodley. The two have been trading barbs for months and fans have been anticipating a title showdown between the former American Top Team teammates. 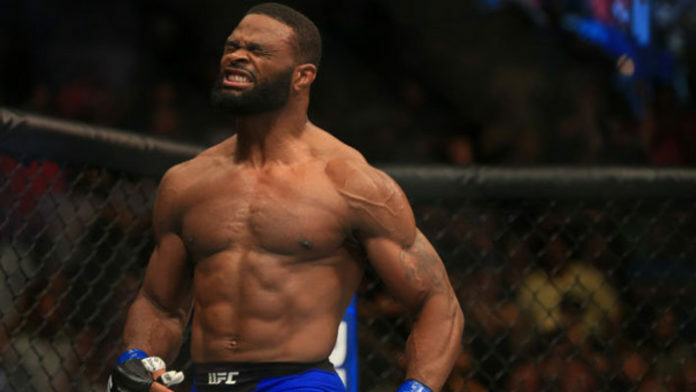 Do you think Tyron Woodley will compete on the UFC 230 card?